For some truly terrifying reading, check out Daniel Defoe’s A Journal of the Plague Year (1722). You can read the whole thing here, courtesy of gutenberg.org. Catharine Arnold’s Necropolis is a wonderful history of death in London throughout the ages and the chapter on the plague might just give you nightmares (I would have used it here, but I loaned my copy to someone and they don't want to give it back!). 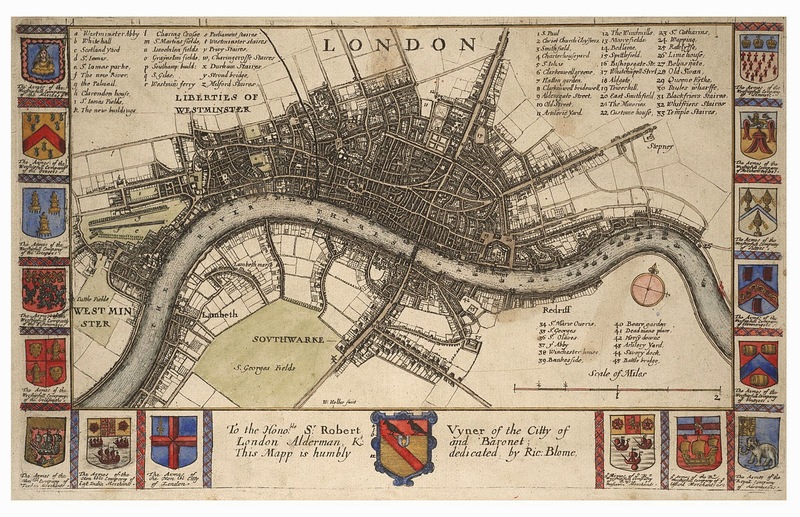 There’s also an interactive guide to London’s many plague pits on historic-uk.com here. 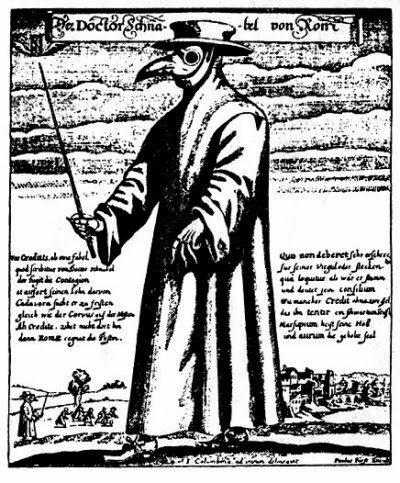 Those plague masks are so creepy. There were a few cases of plague around here recently. Yikes! Thank you for a very thorough post on this topic! The Great Fire did a good thing, after all. Who knows what could have happened otherwise?! Thank you both for stopping by! I agree, those masks are super creepy. And they were the doctors! You're right, Carmen -- at least one good thing came out of the Fire!